I got to know about Small SEO Tools while I was searching for a free backlink checker tool in Google. I found their backlink checker tool very useful and I started checking other tools of Small SEO Tools. Small SEO Tools is a one stop resource for bloggers and web developers with more than 50 useful online tools. Though its name is “Small” SEO Tools, it really saves your big time by providing many useful tools for bloggers and web developers under a single page. Small SEO Tools consist of 50+ online tools for search engine optimization, keyword suggestion, backlink checker, pagerank checker, grammar checker, meta tags analyzer, Article Rewriter, keyword position tracker, alexa ranking and many more. In this article we have listed the most useful tools for bloggers from Small SEO Tools. 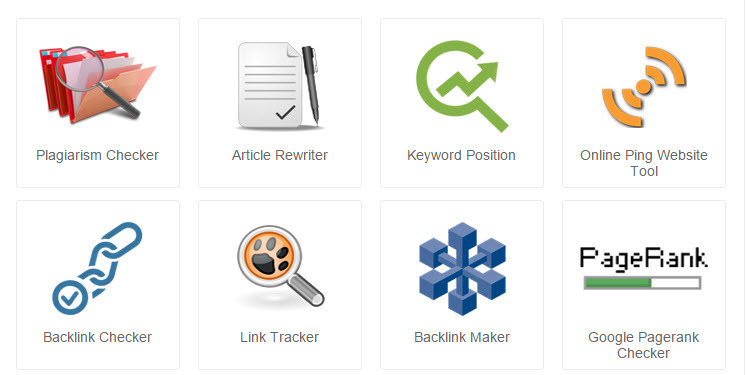 Backlink checker tool by Small SEO Tools is a free online tool to check the backlinks of your blog. You need not have to create account nor login, to view the backlinks. Just enter your blog URL in the input box to get a table with all the backlinks. Are you looking for related keywords of your blog post? Then you should have a look at keywords suggestions tool by Small SEO Tools. The tool provides the best keyword Ideas for your article. Keyword position checker tool helps to track the position of your keyword in Google search engine. You have to specify your blog URL and provide up to 5 keywords to check the keyword position. Do you feel someone copied your article? Plagiarism checker will help to clarify your doubt about content theft. All you need is to enter a few sentences of your article in plagiarism checker tool, enter the captcha and click on “Check for Plagiarism” button to clear your doubt about content theft. Article rewriter helps to make your article more interesting to read. Article rewriter by Small SEO Tools examines each word of your article and suggests the best synonyms (related word) to come up with a quality article. Article Rewriter can be only used to improve your article but not to completely make a new article from the existing one. You have just read the most useful tools for bloggers, along with these tools, Small SEO Tools consist of Google pagerank checker, Alexa rank checker and spell checker which are useful for bloggers.